Air Charters is one of New York’s leading private jet companies, supplying private jet charter services around the USA for business and leisure travel. Here are some interesting facts about our home base – Teterboro Airport. 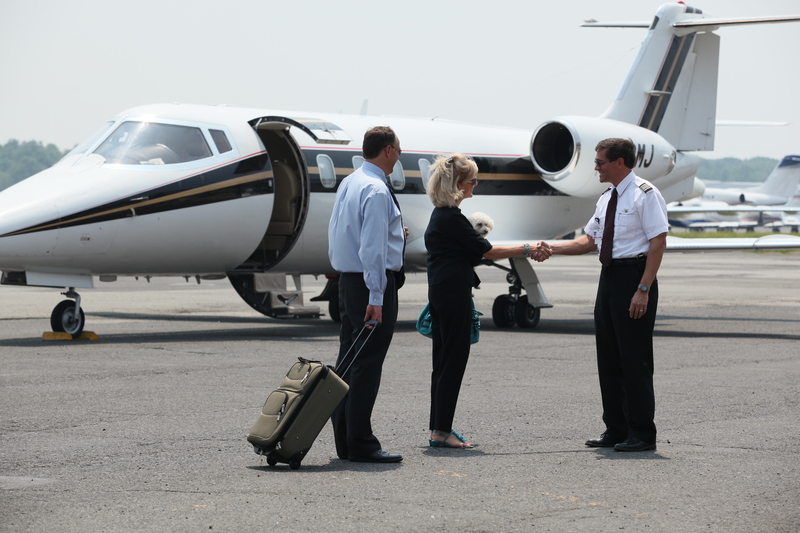 General aviation relief airport: Teterboro acts as a supplementary airport, taking on smaller aircraft traffic to reduce congestion at the big commercial airports in the area. Just 12 miles from Manhattan, it’s ideally situated for travelers to and from NYC, ensuring a quick and easy drive or helicopter flight for guests. The airport consists of 827 acres of land, of which only around half is utilized for aeronautical use and runways, and 90 acres for offices and buildings, leaving 329 acres lying open for later development and as a greenbelt zone. The oldest operating airport in NYC: This airport was originally owned by Walter C. Teter, and became the site of a North American Aviation manufacturing plant in World War I, and then a base of operations for a Dutch aircraft designer after the war. In 1919, the first flight was made from the present airport site. Extensive FBOs: The airport has five FBOs (Fixed Base Operators) that provide the services needed to keep the airport and aircraft in exceptional working order. This includes de-icing, passenger handling, aircraft fueling, parking, maintenance, aircraft rentals and flight training. They also take care of services like car rentals, pilot lounges, baggage handling and hotel reservations. Innovative safety systems: Passenger, crew and airport safety is a priority at this airport, and this is reflected in the installation of an innovative Engineered Materials Arresting System (EMAS). This system, which was pioneered by the Port Authority and Federal Aviation Administration, is made up of beds of concrete blocks that are designed to crumble under specific pressure, allowing aircraft to stop quickly and safely in the event of an emergency. For corporate clients, business executives and influential consumer industry leaders, travel itineraries need to accommodate flexible schedules, networking and conferencing requirements, which is why corporate jet rental through top private jet companies is the only way to fly. At Air Charters, we specialize in corporate and executive travel, offering turn-key door-to-door services in addition to luxurious private jet rental. Our experienced crew and team are professional, discrete and dedicated to ensuring a seamless and enjoyable experience, and will handle every aspect of your travel with us from the moment you call.